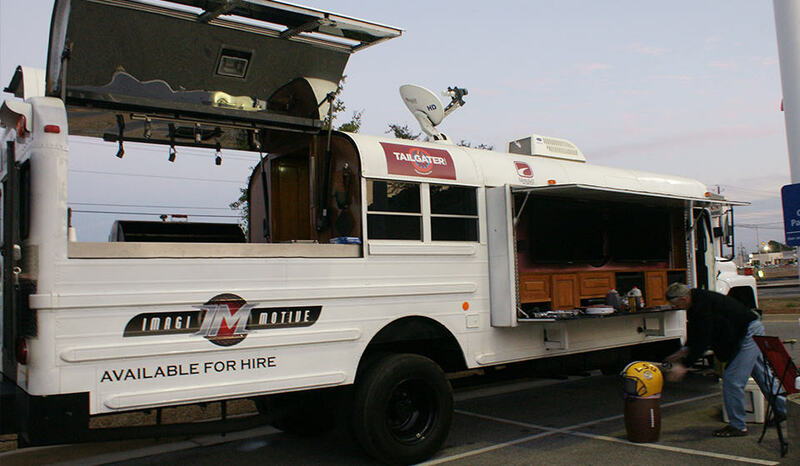 Imagi-Motive is the PREMIER tailgating manufacturer in the US. We can manage any size project; from 5ft wide x 8ft long tailgating trailers, sprinter van conversions, to 40ft trailers, bus and RV conversions. Everything we design and manufacture is CUSTOM, with assembly line prices! This means you can get EXACTLY what you want, for the price you expect. 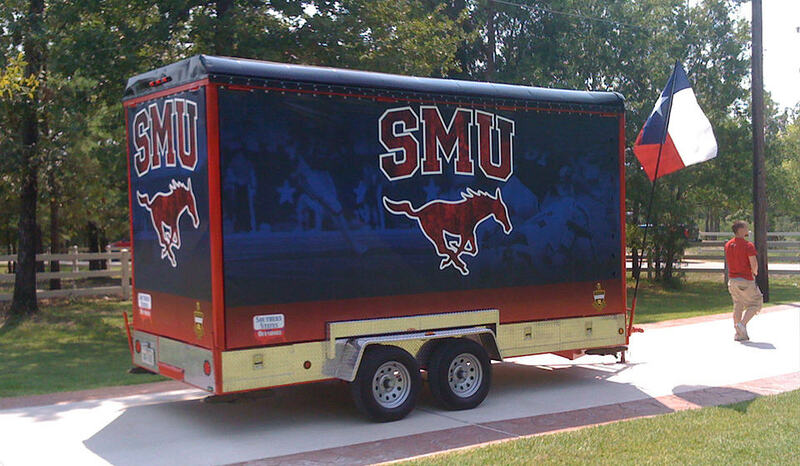 We have the ability to create any tailgating trailer design. Small and simple, to large and exotic, Imagi-Motive is the place you go when you want your trailer to last. We design flexible systems you will use for parties on game day, special events and competitions. Have you ever seen something, stopped, and said “WOW!”. That’s the feeling of seeing an Imagi-Motive tailgating vehicle. Built in kitchens, grills, entertainment centers and generators and rest facilities are just the beginning. We design and fabricate everything in our professional shops. The envy of every team, see our custom builds. For the tailgaters that want it all, but can’t drag a whole trailer around, this is the PERFECT solution. Built tough, with tons of options, the Portable Man Cave is bound to turn some heads. 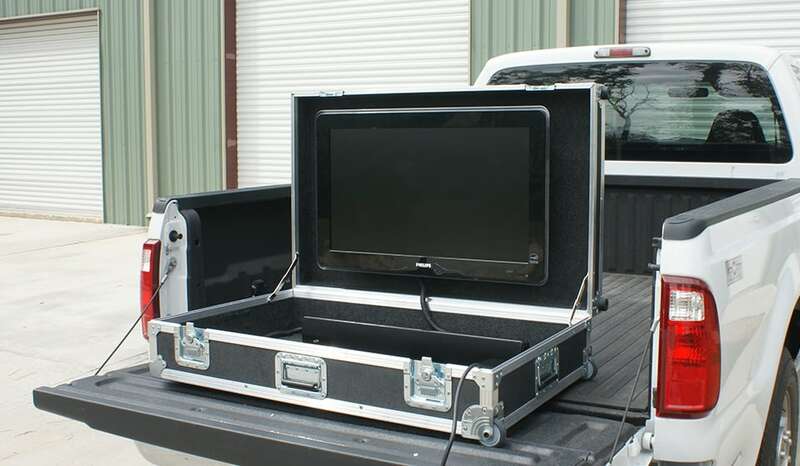 Bring the portable entertainment center with you and set up a party anywhere. Custom Tailgating in Style can be yours with a portable project that sets up in minutes to a towable trailer that stays ready to go anytime and anywhere. Contact our Sales Team to see what option best fits your tailgating style.